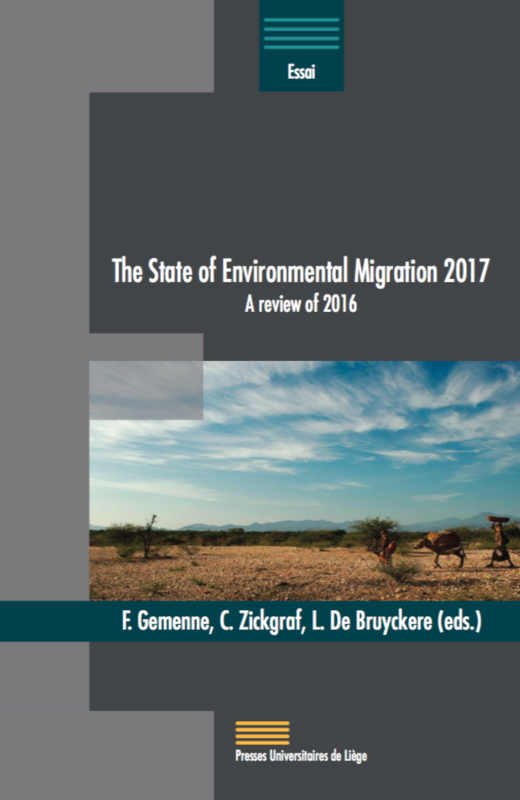 The State of Environmental Migration 2017: A review of 2016 is the seventh annual volume of the series, which selects and compiles Masters student’s work from the course “Environment and Migration” taught by François Gemenne and Caroline Zickgraf at the Paris School of International Affairs (PSIA) of Sciences Po in an ongoing partnership with the International Organisation for Migration (IOM). Edited by The Hugo Observatory of the University of Liège, this edition was published in the framework of the EDGE project and was launched in December 2017 during the second EDGE Annual Conference: Politics of the Earth. 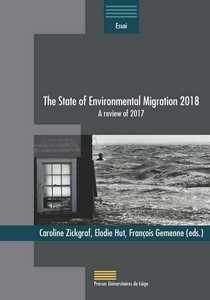 As climate change and extreme weather events increasingly threaten traditional landscapes and livelihoods of entire communities the need to study its impact on human migration and population displacement has never been greater.The Atlas of Environmental Migration is the first illustrated publication mapping this complex phenomenon. 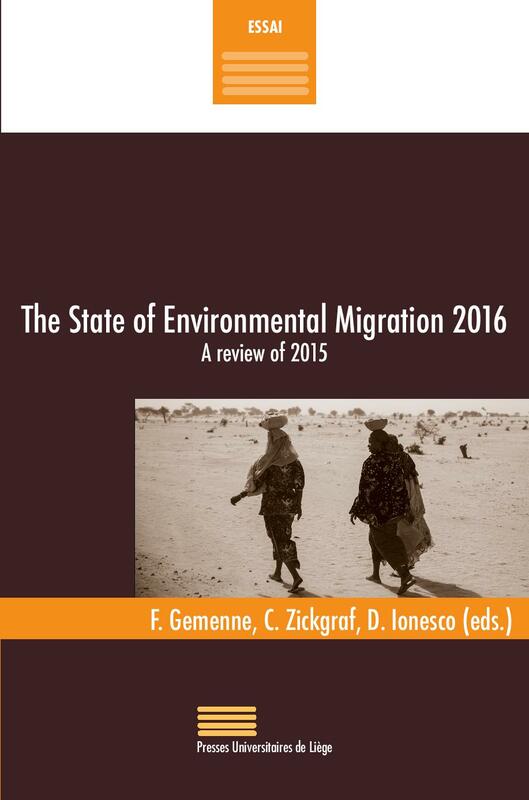 It clarifies terminology and concepts, draws a typology of migration related to environment and climate change, describes the multiple factors at play, explains the challenges, and highlights the opportunities related to this phenomenon. 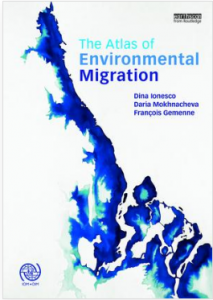 Through elaborate maps, diagrams, illustrations, case studies from all over the world based on the most updated international research findings, the Atlas guides the reader from the roots of environmental migration through to governance. In addition to the primary audience of students and scholars of environment studies, climate change, geography and migration it will also be of interest to researchers and students in politics, economics and international relations departments. ● Kunychka, M., Orlando, L., & Raneta, L. (2017). 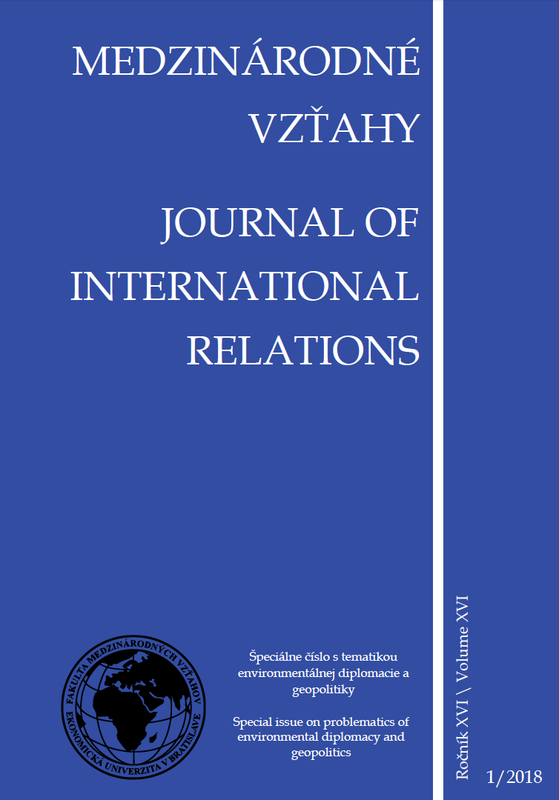 Water Resource Usage and Air Pollution in Transitive Countries the case of The Republic of Moldova, forthcoming.